"She knew that I had taken up surfing, and she showed up with a brand new surfboard and wet suit," Dougiello says. "Pretty much anything I would need to surf anywhere, even Antarctica." "He says Ray knows each of her hundreds of employees by name, and purchases individual gifts for each one." "For Rachael, being a celebrity is way down the list," Dougiello says. "Other things are more important to her." "Dougiello drifted from the journalism career path, shying away from newspapers and magazines. He found himself working for a series of firms dealing with entertainment and music production. It was there he met Ray, who opened up a new career for him. 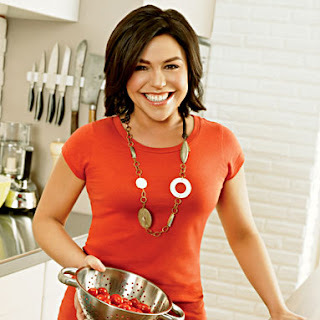 Ray has regular airtime, a line of culinary products in her name and a magazine titled 'Every Day with Rachael Ray.' Previous dealings with Ray led Dougiello to accept a position as her publicist, dealing with most of her public relations and press releases. 'The opportunity came for her to start her own daytime show,' Dougiello says. 'She asked me to come with her, so I did.'" "The change of pace and venue has made a positive impact on Dougiello. He says he enjoys his job, and finds Ray easy to work with and fun to be around. 'She is the most genuine and generous celebrity I have ever met,' he says." HEY...would love to interview RACHAEL RAY for her new book in november..WWW.DAVIDSBOOKTALK.COM..any chance?